We are unnaturally proud of our Fajita Seasoning. 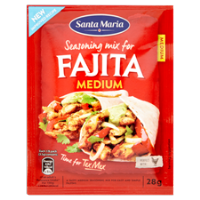 Delicious for fajitas, but also great on fish, potato wedges, in mayonnaise as a dip & so much more. Our Price: £0.79 Sorry this item is out of stock.